Extreme heat and drought conditions in key farming areas are leading to a lighter apple crop and smaller, sweeter fruit, according to Australian industry figures. As the annual apple harvest get underway chief executive of peak industry body Apple and Pear Australia Limited Philip Turnbull said the total yield is likely to be lower this year. "When you consider that we've had the hottest January ever recorded in Goulburn Valley, and the driest season ever in Stanthorpe [Queensland], it's really no surprise that apple crops will be impacted by the heat," he said. 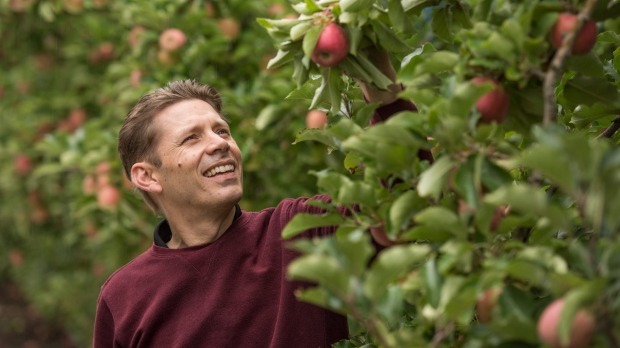 "Growers are telling us that quality is great, but the extreme weather will likely mean apple sizes will be smaller, and ultimately this will drive down the gross tonnes harvested." Sam Edwards, owner-operator of Logan Brae Orchards on the Shipley Plateau near Blackheath in the NSW Blue Mountains, said they had to open their doors later this year. "The trees became stressed from the heat and didn't flower. The drought really brought home how crucial it is to have more water storage. We've had to spend a lot of money this year on drought proofing the property by installing tanks and fixing our dam so we can use it to irrigate." 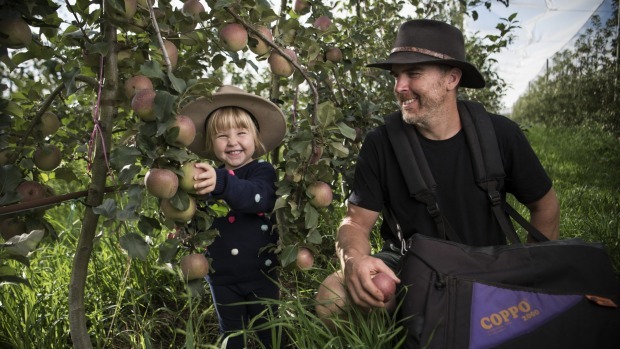 Apples ripen from February to July and around 15 per cent of Australian cider is made from domestic orchards, said Shane McLaughlin, treasurer of Cider Australia and founder of Hillbilly Cider in Bilpin, NSW. Multinational cider brands often use imported apple concentrate. 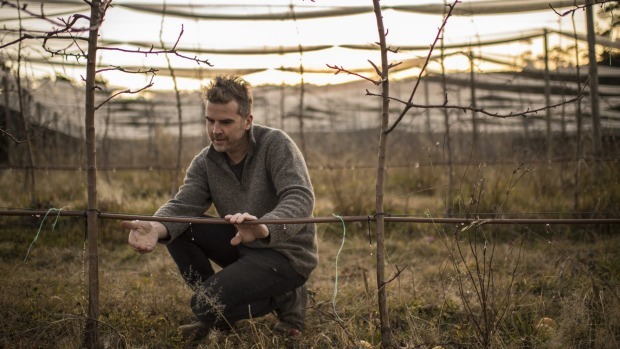 "Right now, there's enough apples for craft cider producers that have good relationships with farmers but anyone looking to start a cidery or expand an existing one would really struggle to find fruit," said Mr McLaughlin. "There's really nothing extra." Rowan Little is general manager of Montague, a family-owned business which has apple orchards in Victoria, NSW and Tasmania. He said consumers should expect apples to be sweeter this year. "Fruit doesn't grow as quickly as usual without standard rainfall. The fact that it's smaller often means that it's sweeter as an apple's water content is usually very high. Less water means a larger concentration of sugar and better apples for eating." It's unlikely consumers will notice a significant increase in the retail cost of Australian apples, Mr Turnbull said. "Despite the heatwave, we do not anticipate an overall apple shortage, although some varieties may be more heavily impacted than others. If your favourite variety is in short supply, we encourage you to try some of the emerging brands appearing on shelves." 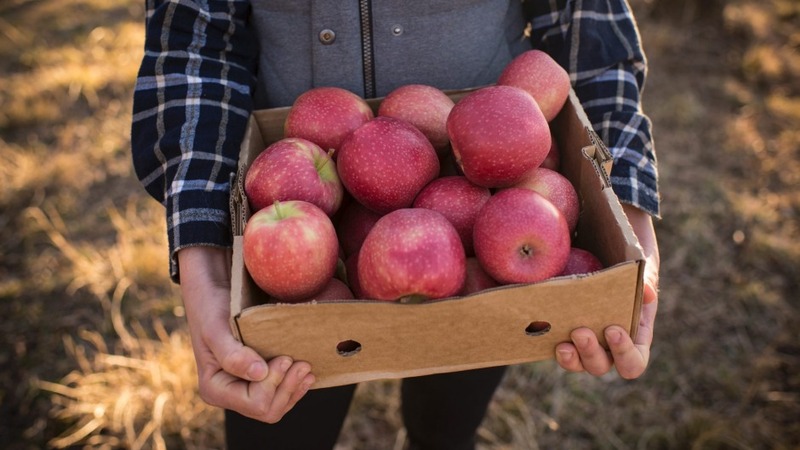 Originally from British Columbia, Canada, this blushing pink apple will be released for the first time in Australia next week at selected grocers. A delicate and creamy texture makes the ambrosia perfect for tarte tatin. A very early season variety picked on Valentine's Day. "It only has a month to go then it's all over for the year," said Rowan Little. Very firm and packed with tremendous flavour making it a top pick for lunchboxes. 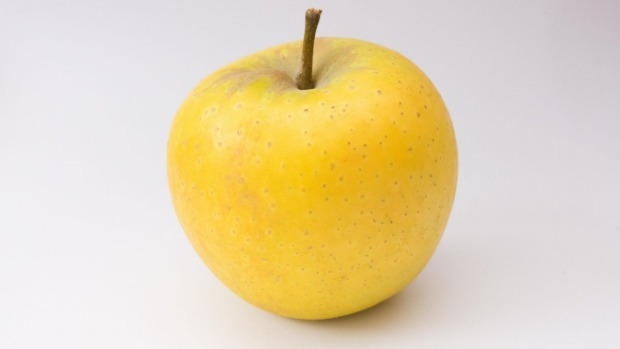 A bright yellow apple that's a Japanese cross between the senshu and golden delicious varieties. Complex flavour, beautiful aromatics and in relatively short supply. One of the most common new apple varieties, jazz is now picked in every Australian state. It has a wonderful aroma and firmness which makes it perfect for flans that need to hold their shape. 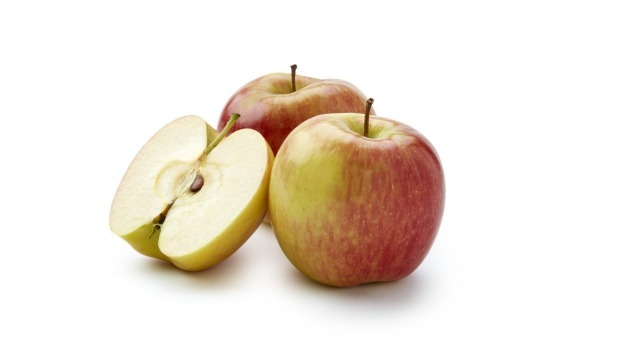 A cross between the braeburn and royal gala, the envy is a large, red juicy apple that's very sweet with virtually no acidity. Will soften nicely in the oven to make a great apple pie.